Alexey Ulyukayev is accused of taking money in return for his ministry giving a "positive assessment" of a $5 billion oil deal. A bribery investigation has reached into the upper echelons of Russian President Vladimir Putin's government. 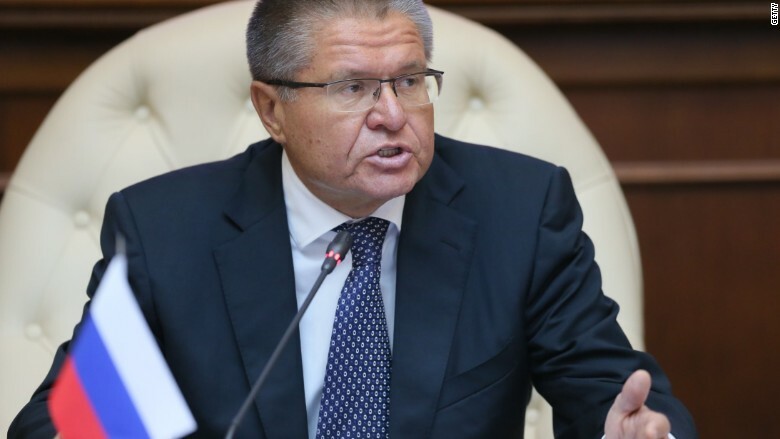 Alexey Ulyukayev, minister of economic development, has been charged with bribery after he allegedly accepted $2 million to help push through a major oil deal. The minister was fired later on Tuesday, state news agency Tass quoted Putin's spokesman Dmitry Peskov as saying. Ulyukayev has been accused of taking the money in return for his ministry giving a "positive assessment" of state-owned oil giant Rosneft's $5 billion deal to take control of smaller firm Bashneft, Russia's Investigative Committee said Tuesday. Rosneft completed the deal to buy the Russian government's controlling stake in Bashneft last month. Ulyukayev was under investigation for more than a year, according to state news agency RIA Novosti. The Investigative Committee said that Ulyukayev had been caught accepting the bribe. The group is Russia's top federal investigative and anti-corruption body, and its leader reports directly to Putin. Rosneft declined to comment on the investigation, but said the Bashneft deal complied with Russian laws. "We see no risks for the deal," Rosneft spokesman Mikhail Leontiev said. "The allegations are very serious and demand very powerful evidence," Peskov told journalists. "Only a court can judge his guilt." CNN wasn't immediately able to reach Ulyukayev for comment Tuesday. Investigators have asked a court to place Ulyukayev under house arrest. A former deputy finance minister and deputy chairman of the central bank, he was appointed economic development minister more than three years ago. If he is found guilty, he faces a fine of as much as $200 million, or eight to 15 years in prison, according to Russian state news agency Tass. -- Radina Gigova, Alla Eschenko, Emma Burrows and Sarah Faidell contributed to this report.